What do your org chart, your seat belt and your fear of commitment all have in common? They may all be holding you back. Your seatbelt’s a no brainer, and we’ll leave your fear of commitment to the professionals. But if you want to keep your clients, research shows service remains key: 89% of people who experience poor service with your brand will leave for your competition. So let’s look at how your org chart may be holding your client service experience back. 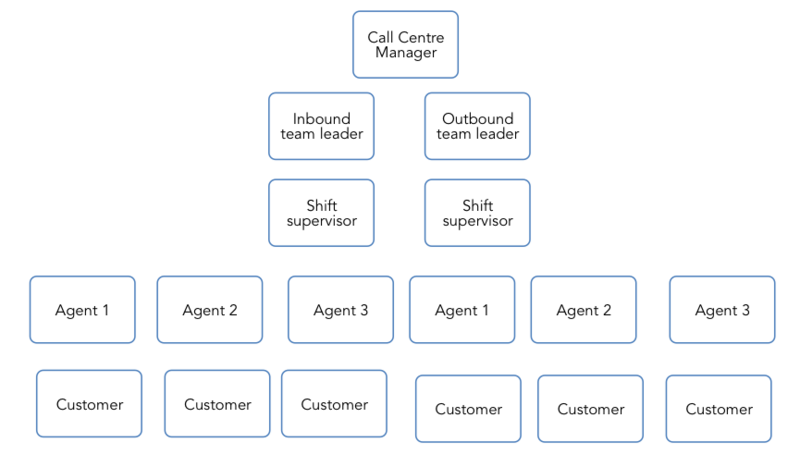 Here’s an example of a perfectly normal looking call centre org chart. As you can see there is a manager at the top, and the agents at the bottom. That is where the client service experience problems begin. Previously we’ve talked about the need to build a habit of putting customers first. It places the expectation that agents are there to serve customers, and managers are there to support agents to do this. When an org chart is hierarchical, like the one above, the emphasis is on reporting up, not on serving down. Agents are there to answer to supervisors, who answer to team leaders who answer to the manager. But who is answering to the client? The answer to a great client service experience may be found in shaking things up. There may be reluctance to flip an org chart. After all, it sounds quite risky to give power to agents who may not have the same qualifications and experience as a manager. But remember this; it is not about power and orders. 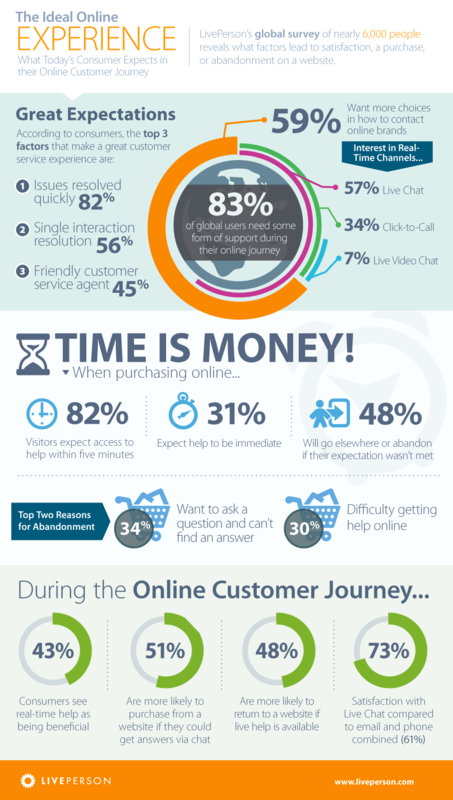 It is about how you can provide the very best client service experience for your customers. Your agents are at the coal face every day and while they may not have an MBA (yet) they listen and talk to the customers day in and day out. It can be beneficial for both your people and your customers if you empower agents to address customer concerns as well as giving them a voice and an opinion on company matters. Just think of the increase in first call resolution rates if agents are authorised to offer financial or other compensation to customers. In the space of one phone call your agents have the ability to transform an unhappy customer into a loyal advocate… but only if you give them the power to do so. Flipping the org chart shows agents that you value their insights and you trust them to deliver to the customer. It can redistribute the power and open the lines of communication between agents, managers and subject matter experts (SMEs). 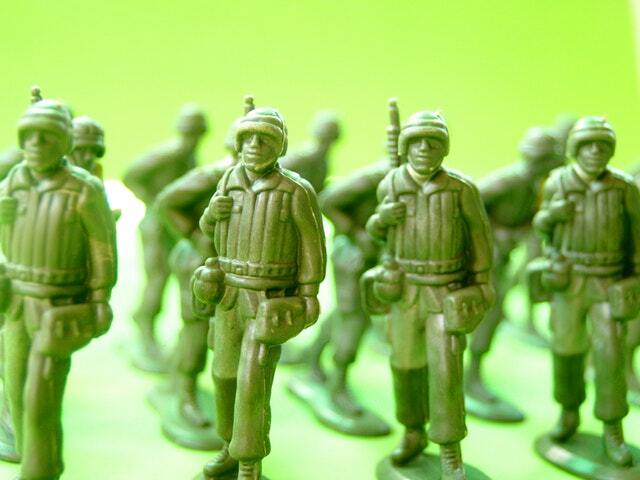 And best of all it may unleash an army of customer satisfaction soldiers. Changing your org chart can also help break down departmental silos. We talk about Southwest Airlines a lot, for a very good reason. Southwest Airlines is famous for its outstanding customer service, high profitability and above average staff retention. The foundation of their success is a staff base, especially their customer service staff, that is empowered, rewarded and encouraged to problem solve for customers and reach for common goals. As a whole business they put customer satisfaction first. Agents are allowed to make snap decisions on customer support – either to fix problems or simply surprise and delight customers, up to a certain dollar value. Agents don’t need to ask permission and the solutions don’t have to be financial; but something personal. For example; a call to say a customer had forgotten their shoes in the overhead locker might end with the agent couriering the shoes to the customer in time for their important meeting. Changing up the org chart will also show your agents you value their opinion. By empowering staff who are closest to your customers, you’ll hear what’s really going on in the trenches and have direct access to the knowledge your customers have and the knowledge your support staff need to service them. This knowledge can be used to create a better customer experience, improve products or tap into new markets. And while experience can bring with it wisdom, don’t discount the ideas your younger agents have. A new perspective can bring ground breaking ideas that vastly improve your customers’ experience. In highly siloed organisations you’ll find each department is striving to meet their own objectives. Breaking down barriers between departments via your org chart can indicate to all your staff that you are focused on a single goal – customer experience. It encourages teams to collaborate, share knowledge and support each other to reach the goal. For your business to succeed, there needs to be recognition that one part of the business can exist without the other. An org chart is essentially blobs on a page. But they are important blobs. They tell your staff which way you want communication to flow and how you value them, and your customers, in the grand scheme. There are many options to re-jigging your including flipping it, flattening it or creating a holacracy. 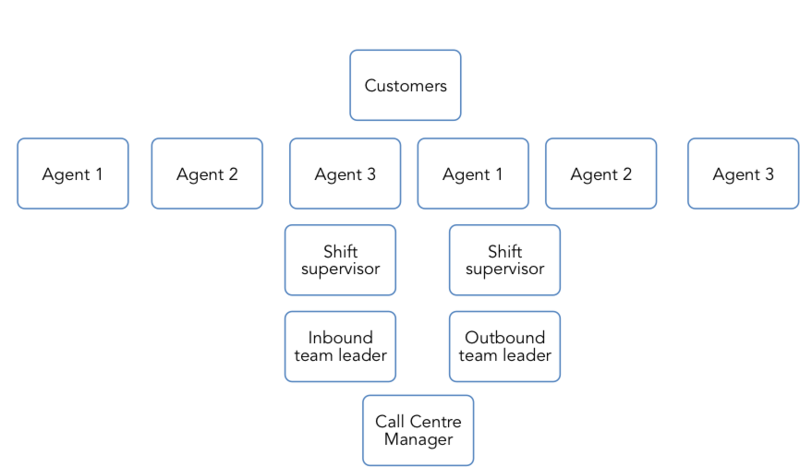 What is important for anyone whose business lives and dies by its client service experience is that the org chart helps your agents to serve the customer’s interest first and foremost.